Mild-mannered LA men by day, swinging Sunset Boulevard rockers by night. Continuing their series of releases on Burger Records cassette-only arm, Wiener, we find the two singer/songwriters known as Cashew & Cleary transitioning from debut dudes to, well, still debut dudes…..but, with some highly listenable results! Road trips, mirages, high times, murder ballads, Hollywood, Tijuana, they are all here. 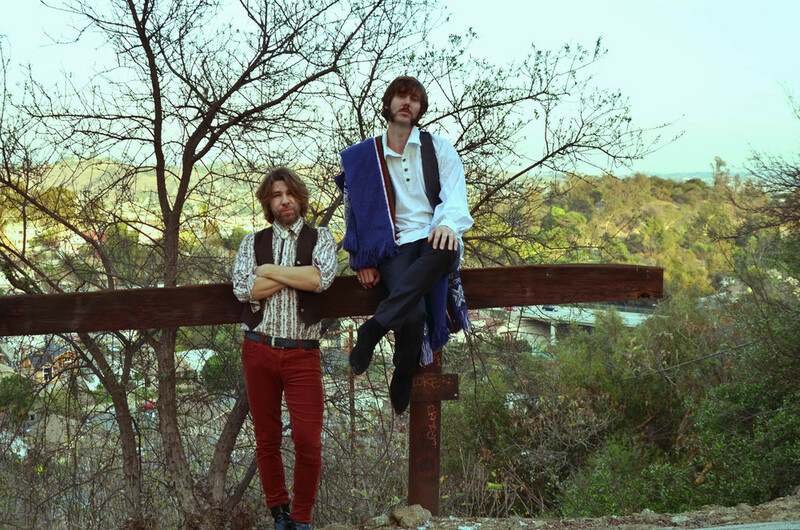 Cashew & Cleary is a duo comprised of Eric “Cashew” Harding and Patrick Cleary, both veterans of the Los Angeles music scene. Cashew was front man of the psych folk band, Eagle Winged Palace and garage band, The Prix while Cleary was lending lead vocals and playing guitar with The Digs, a jangly Americana band and the mellow prog band, Silver Phial. Both had been fans of one another’s music and started getting together for songwriting sessions. The result is Husbands & Fathers Vol. I and II, the first two entries in a set of forthcoming EPs.